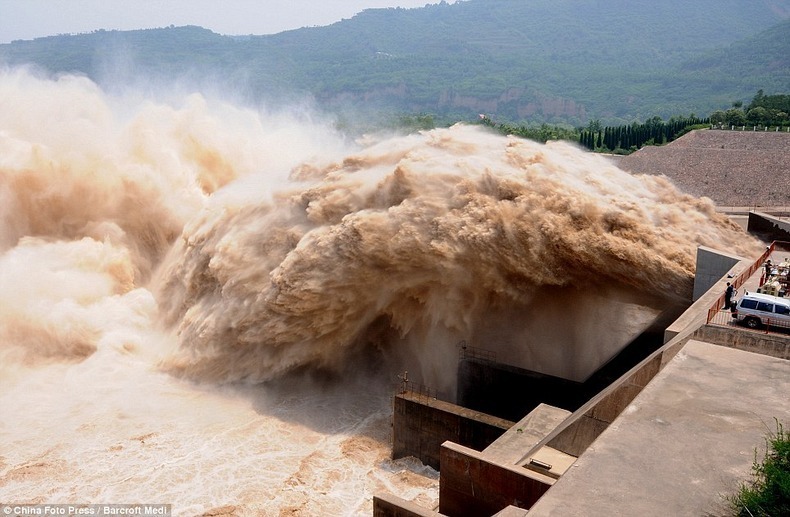 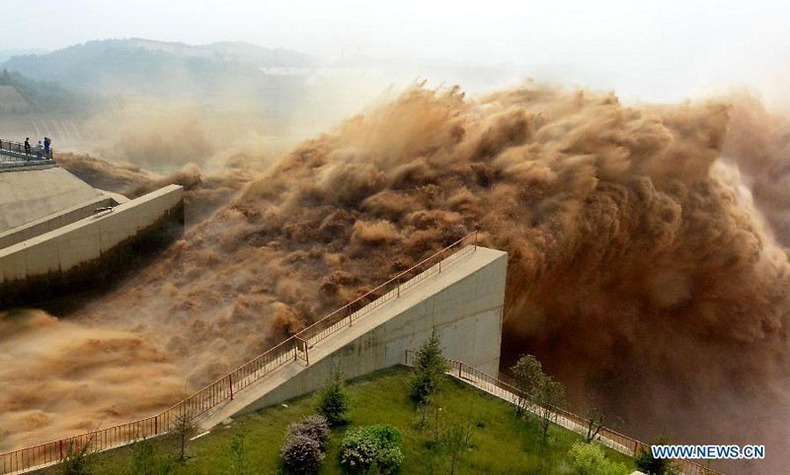 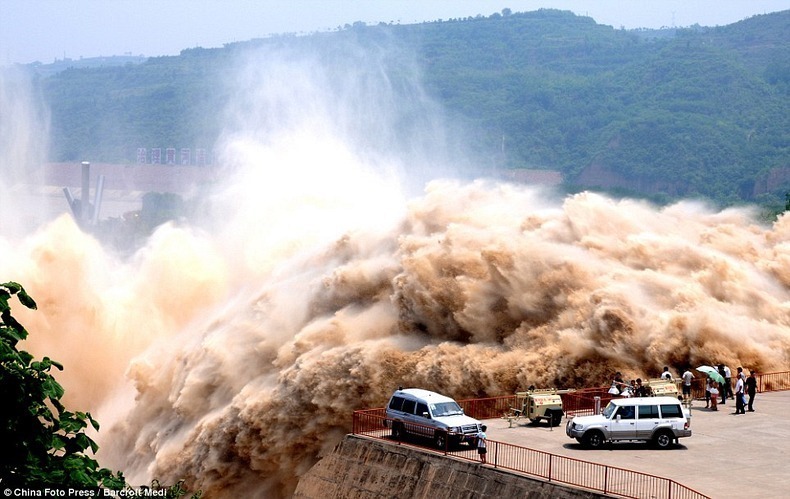 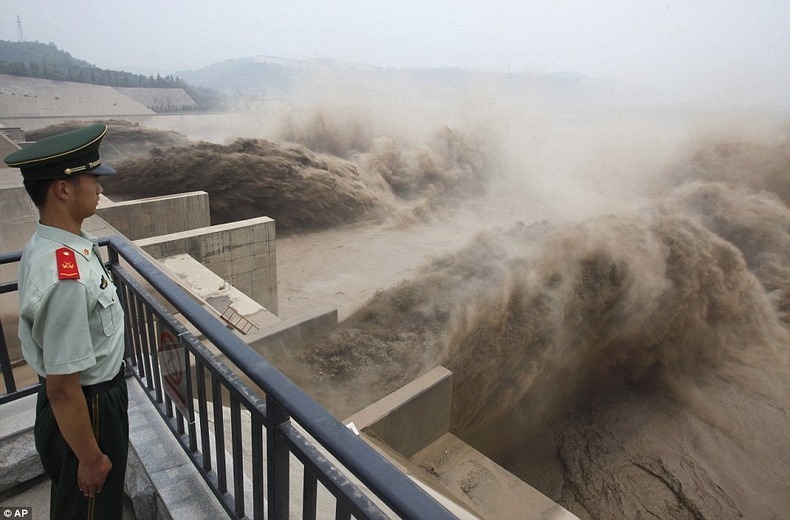 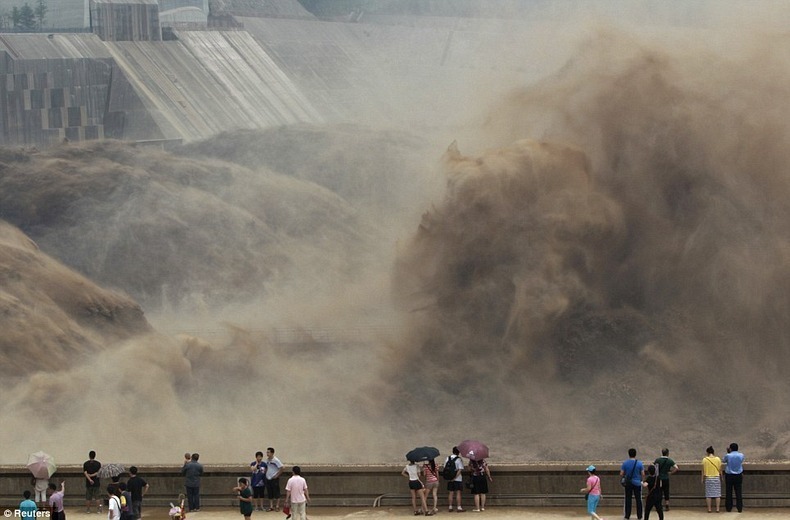 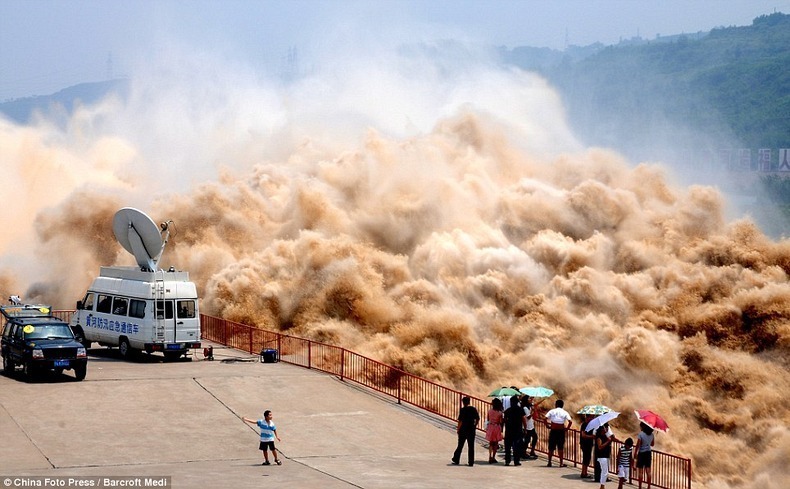 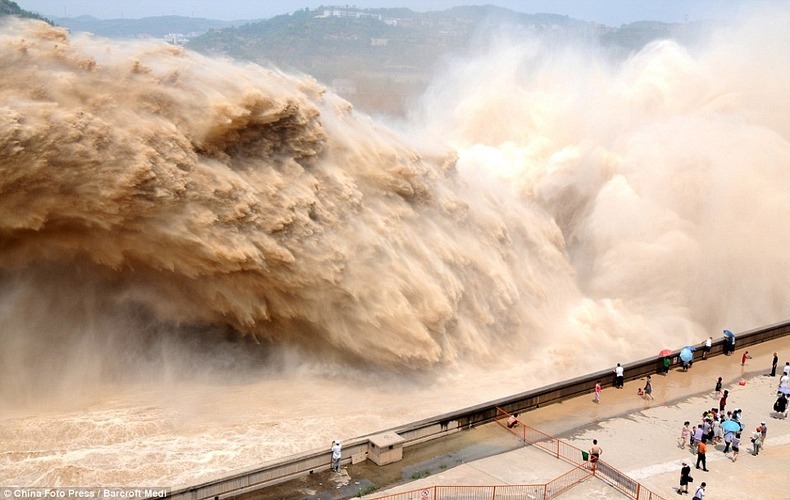 These incredible pictures were taken at Xiaolangdi Reservoir on the Yellow River in Jiyuan, Central China’s Henan province early this month. 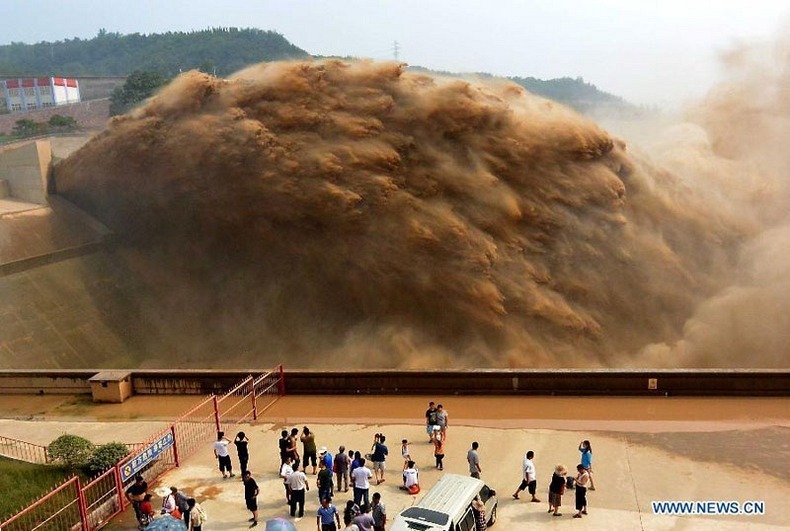 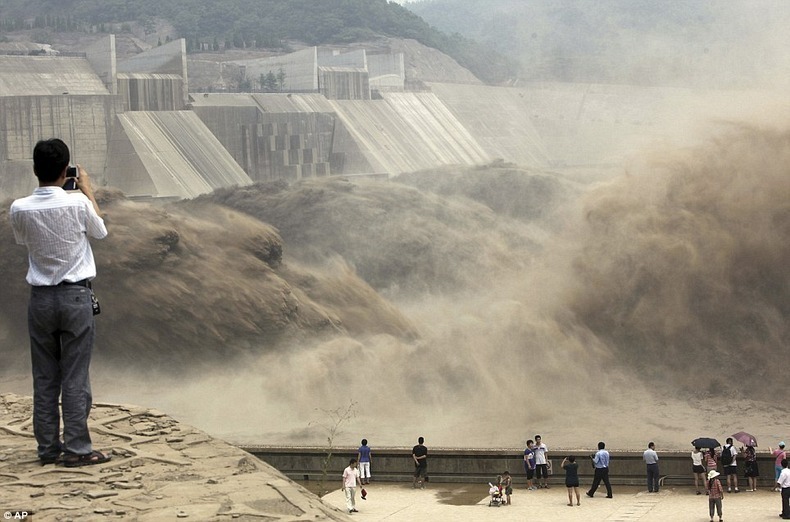 What looks like a scene from a disaster movie is actually a meticulously-planned method of clearing silt that's built up in the dam. 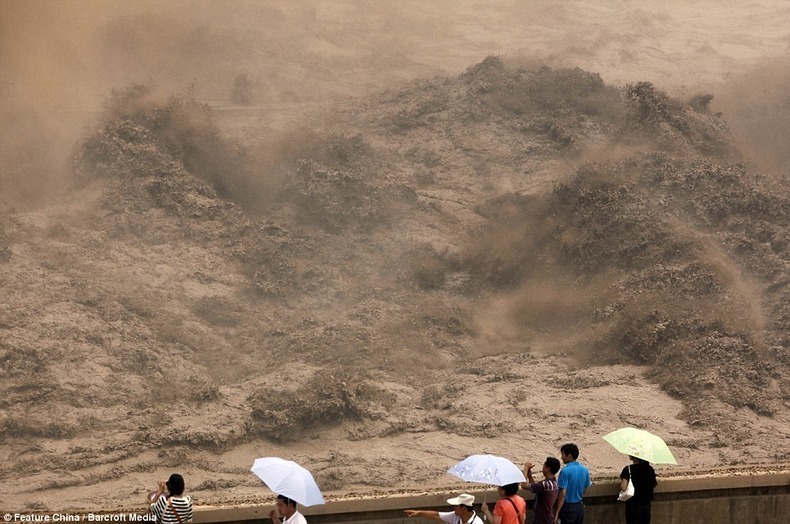 Silt builds up in massive amounts on the river bed which can slow the water flow and raise the level of the river, increasing the risk of flooding. 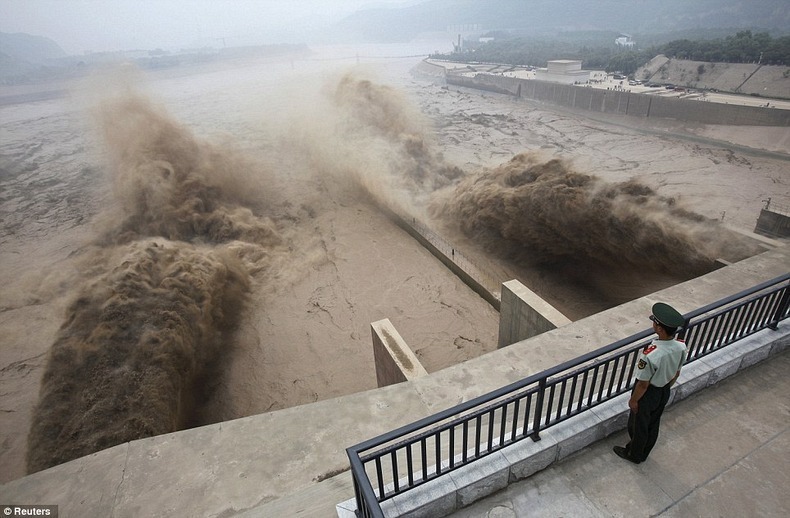 So in an annual cleaning operation, the authorities open the floodgates allowing the slit to be washed downstream. 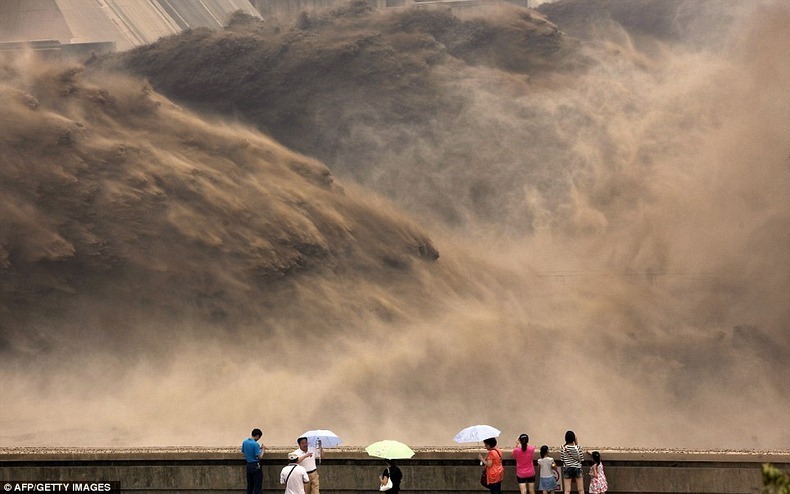 Each year more than 30 million tonnes of silt are moved this way, with more than 390 million tonnes shifted over the last 13 years of operation.